1:23 PM PDT 7/26/2018 by Paul Bond,The Hollywood Reporter. The drop in the price of the stock cost Facebook founder, chairman and CEO Mark Zuckerberg more than $15 billion. Shares of Facebook fell 19 percent on Thursday, a day after the world’s largest social media company disclosed that its quarterly revenue did not live up to expectations and that its user metrics grew slower than some on Wall Street had predicted. 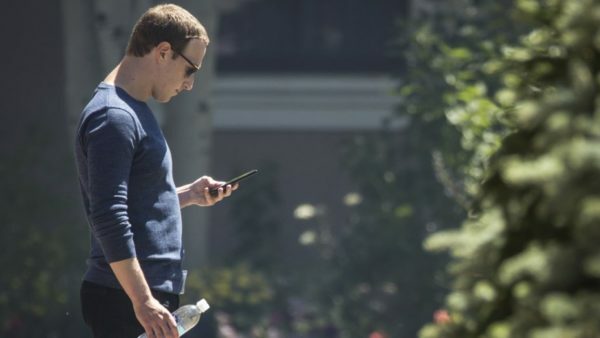 The drop in the price of the stock cost Facebook founder, chairman and CEO Mark Zuckerberg more than $15 billion and about $120 billion in shareholder value was wiped clean. Thursday’s earnings release was the first since Facebook founder, chairman and CEO Mark Zuckerberg testified before Congress about his handling — or mishandling — of the Cambridge Analytica data scandal. At that hearing, lawmakers also grilled Zuckerberg about issues involving privacy and some Republicans accused Facebook of political bias against conservatives. Long past time for the U.S. Feds to Break Up Facebook, Google, and a few others before there are very large consequences. This might be a very important subject while Washington Feds are working through August this year but it is somewhat late to get it on the Agenda. The subject would certainly be good conversation before the Mid-Terms, thus is most important.